Liga MX W2W4: Can Pulido ignite Chivas? 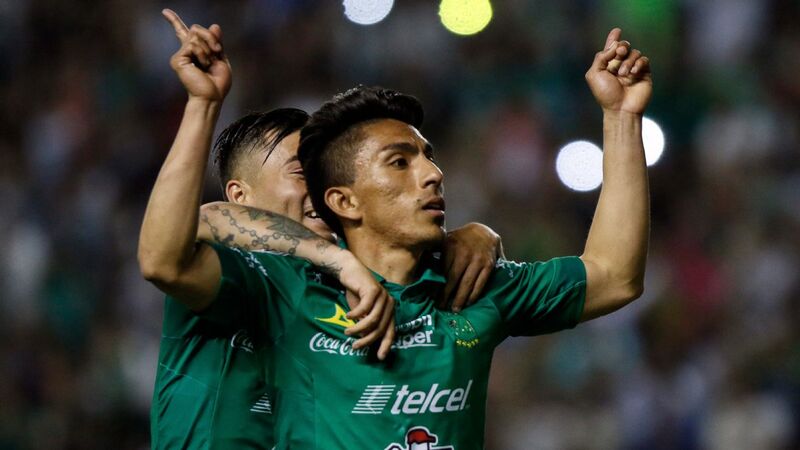 Rubio Rubin Q&A: Tijuana player talks decision to move to Liga MX, representing the U.S.
After spending a few years abroad in the Netherlands, Denmark and Norway, Rubio Rubin made headlines in February when it was announced that the American would sign with Liga MX's Club Tijuana. Since making the move to Mexico, the 22-year-old attacker from Oregon has quickly became a key rotational player for Xolos manager Diego Cocca. 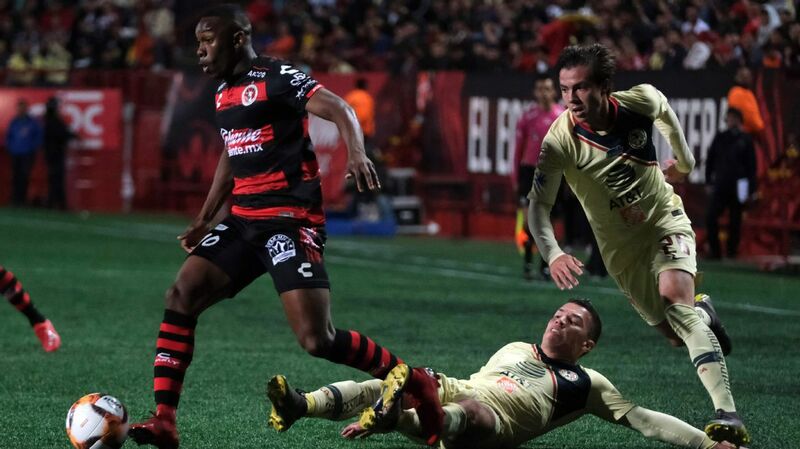 Following eight Liga MX appearances in the 2018 Clausura, and a full summer preseason, Rubin is now set to have more of an impactful role for Tijuana in the next several months. With the 2018 Apertura season now underway, ESPN FC recently caught up with the young American, who opened about his move to Mexico, scoring his first Liga MX goal, idolizing stars such as Javier "Chicharito" Hernandez and Omar Bravo as a kid, and his ambitions for the U.S.
ESPN FC: You've been with Xolos for several months now, how are you enjoying your time with the Mexican team? Rubio Rubin: It has been pretty great, it was a little tough [at first in the Clausura] to come and get used to the football. Joining them in the recent preseason was fun and also intense, but overall it has been good. I've been getting my minutes and getting opportunities. I'm just trying to take advantage of those chances and play my best to help the team win. For me, and for obviously all of the guys on the team, winning is the number one priority. ESPN FC: Tell us about Tijuana. Did you have any difficulties adjusting to your new city or has it been a smooth transition to Mexico after living in Europe? Rubin: I know Spanish, so it has been pretty easy to adjust. But when I first came here, my Spanish was actually not that great. Some of the guys on the team would make a little fun, but obviously that's just part of the culture. My Spanish has definitely improved a lot. Tijuana is a nice city, but I haven't really been there much, I live closer to the beach. Being able to go to the States, and having that really close and going whenever I can, is also pretty cool. The San Diego airport is literally 30 minutes away, so a lot of friends can fly through there, cross the border and then watch my games on that same day. That's an awesome part about living out here, to have family and friends come down whenever. For a footballer, it's all about that, having family and friends be there for you. It has been fun to have them. ESPN FC: Let's talk about how soccer first became a part of your life. A common thread among many Mexican-Americans is the impact that family has in building a love for the sport; what kind of influence did your family members have in this soccer development? Rubin: It started from a young age, three years old, if I can remember. I remember kicking the ball around as well when I was five to ten and watching the Liga MX. I would say it has been a part of my dream to play in the Liga MX. Obviously, as a player, you always want to go to Europe and want to strive for wherever the highest level of football is, but I never really watched European soccer. I never watched Barcelona that much, I never really watched Real Madrid or Manchester United. I would watch teams like America, Chivas, Monterrey and Tigres, all those teams. I grew up watching players coming through that league. I know more Mexican players than any other players from any other country. It's just the way I grew up. For me, playing here is an honor and I'm grateful. I've been trying build and grow as a player here and it's an awesome experience. ESPN FC: As someone who watched plenty of Liga MX soccer, where there certain players that you idolized or looked up to when you were growing up? Rubin: I grew up playing as a striker and winger, so I loved to watch "Chicharito" and Omar Bravo, guys that played in my position. Jared Borgetti in the national team, I also liked to watch a little bit of him. Legends in the Mexican national team. 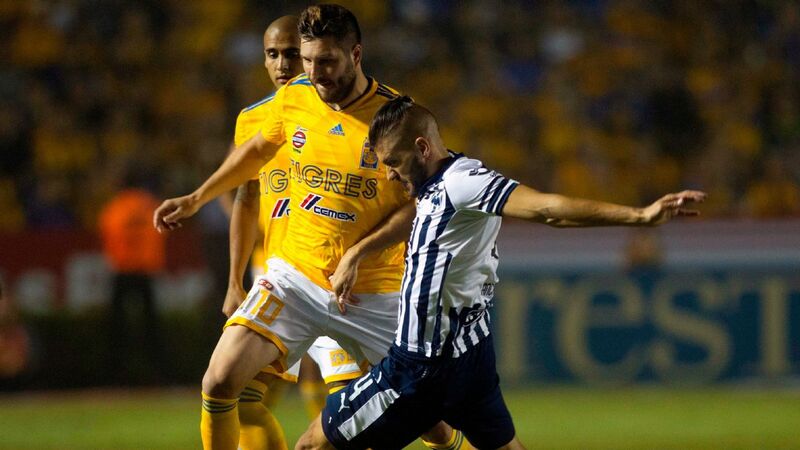 It's pretty awesome to be able to play [in the Liga MX]. Last season I got to score against Chivas, it was my first goal in the Liga MX, that was something special. To idolize a team like that and score against them, it was truly an honor and it was pretty awesome. ESPN FC: Was there ever any pressure from your family to look towards El Tri instead of the U.S.? Rubin: I started playing with the U.S. national team and they have given me so much. Growing up in the U.S., playing for the U.S. national team, and through the youth [levels], that's the decision I went with. Obviously my dad always tells me "You're Mexican, you should play for the Mexican national team" and my mom says "You should play for Guatemala." I wouldn't say my parents pressured me, of course they want me to play for their home countries, but I'm very proud of being Mexican, Guatemalan and obviously American. ESPN FC: Has anyone from El Tri or from Guatemala ever approached you? Rubin: No one [from those national teams] has really approached me, to be honest. Just the U.S. national team. ESPN FC: There were reports of interest from MLS clubs as well before you joined Xolos; why did you decide to join a Liga MX club instead of one from north of the border? Rubin: To be honest, it was more of a decision of what I felt in my heart was right, to come and play in Mexico. That was pretty much it. My father, we always watched the Liga MX and all the players we idolized when I was really little. I always thought it would be super cool to play [in the league] and that's what I wanted to do. ESPN FC: Would you ever want to play in Major League Soccer one day? Rubin: Of course. 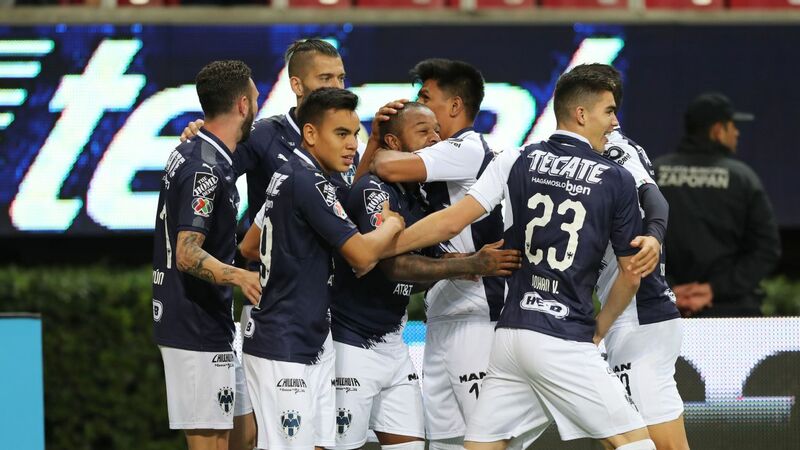 I think it would also be pretty awesome to play there as well, but so far I just want to play in the Liga MX. I felt like it was the best [league] for me to develop, as well to put myself in the best situation to play. Xolos gave me an opportunity, they've given me a lot of opportunities. Now it's just taking advantage of it, growing as a player and getting that extra step in. It'll all work out if I want it. I just have to keep putting in the work and not really think about anything else but my focus here. ESPN FC: Let's talk about your national team career. As someone who is a part of the next phase and era of the U.S., what are your goals in the new World Cup cycle? Rubin: I want to be a key player for the national team. I think I can try for it, I just have to continue to work hard. I have to continue to do what my job is and I think everything else will work out. We have a lot of young players who are hungry and want to make a name for themselves in the national team and want to succeed. That motivates me to be one of the leaders on the team. I definitely want to take ownership, I want to be part of the team, I want to be a key player in the team. That starts here in Xolos and taking advantage of my opportunity. Playing well, scoring goals and assisting. At the end of the day, it's also just about having fun with the game. Not putting too much pressure on yourself as a player, but of course, if you continue to work everything will be all right. ESPN FC: As someone who has seen the recent process firsthand, what improvements do you think need to be made in order to once again help the U.S. qualify for the World Cup? Rubin: I think what happened during the last cycle was obviously tough for everyone. No one expected it. Obviously it's a big problem to fail to qualify [for the World Cup], don't get me wrong, but just allowing the young players to play. Not putting too much pressure on the young players because, of course, the World Cup qualifiers are two to three years from now. Allowing them to play and mature, and also letting them join the group. At the end of the day, when you're bringing in young players into a larger core group that has older players, the young players motivate the older players because they're hungry. Being with the national team during the last few camps, you can definitely see these young players wanting to prove themselves. The trainings might be intense, but it's intense because the players are hungry to show themselves. I have full confidence in our players and the youth. We have players in Europe, we have players in MLS and we have players in Mexico. It's just finding the right players and everything will work out. We're looking forward to the next World Cup. ESPN FC: Four years from now, where will we see Rubio Rubin? Rubin: The World Cup, 2022.